haggiy Felt Tape - self-Stick Felt Strips 'Standard' - 0.118" Thick | Length: 16 ft.
Click to choose a Size: -- Choose Size -- 0.394 in. 0.472 in. 0.591 in. 0.709 in. 0.787 in. 0.984 in. 1.378 in. 1.968 in. Self-adhesive felt strips are very versatile. They can be glued in classically as felt pads and furniture glides under chairs, tables, sofas, shelves and other furniture parts. The required dimension can be easily cut from the roll. So you never look for the exact felt pads for your furniture part, but rather cut the appropriate size quite flexibly from the roll. The solid yet soft felt protects sensitive floor coverings such as wood, tiles, laminate, stone, cork or parquet. Avoid scratches and damage to your floor coverings by using haggiy felt strips. The highly adhesive felt band is also very well suited for the sealing of crevices, slits, etc. in window or door mounting. 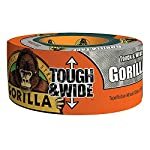 Furthermore, this felt adhesive tape can be used as effective sound insulation. Wherever moving parts meet and can be cushioned by the stable felt. For example, between bed and slatted floor. The brand haggiy stands for quality and trust Made in Germany! We offer you only selected and tested products of which we are convinced! 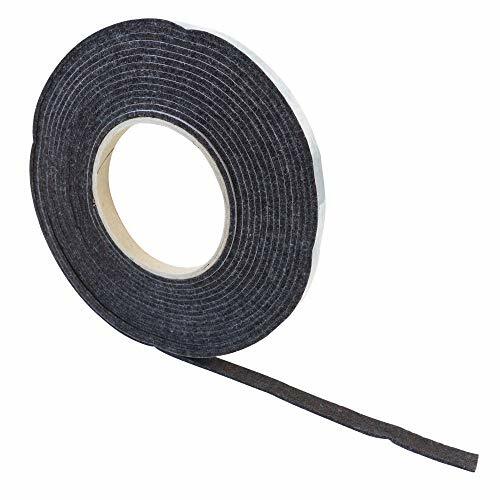 Self-adhesive Felt Tape to stick under Tables, Chairs, Sofas, Cabinets, Beds or Decorations. The strong and durable felt protects the floor from scratches and damage. Reduces loud noise when moving and moving chairs or other furniture. Very well also as intermediate layer of e.g. Bed and slatted floor for sound insulation. Length: 16 ft. | Thickness: 0.118"